Iomoi's lucite trays and Paper Source's cardboard letters will be making an appearance in my new small space. 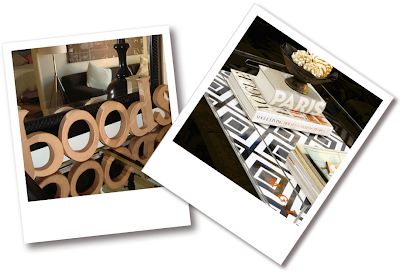 Small personalized accents can be fun way to introduce interesting detail into your space. 1 Response to "SMALL SPACE ACCENTS: Personalize Your Space"
Just want to say love your blog. We've been moving up in the world we started with a 1,013 sq ft. house and two houses later now live in a 1,300 sq ft. house. There are four of us, and while we have tons of room compared to you, it's still a rather small space, with no formal office, it is now "hidden" throughout my living room.